Nobody likes that tangled mess of cords hiding behind the desk (or even worse, in plain sight on the floor). Yet, we all put up with it because cords, chargers, and electrical devices have become an essential part of our daily lives. After years working as an IT professional, Steve Kwak decided it was time to tame the cord chaos. 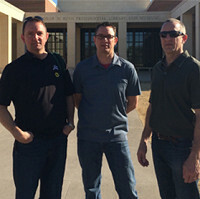 He and his brothers, Kevin and Carl, founded Cord Buddy and began putting cords in their place. Cord Buddy is available in your choice of three styles. A welcome addition to any desk, the GLOW can hold up to 3 different cords of varying widths. With an LED light that senses motion and lights up if you move within 8-10 feet of it, the Glow also comes in handy on your bedside table. No more groping for your charger in the dark. The Basic is a weighted, single port Cord Buddy designed for that one go-to-device you just can't live without. 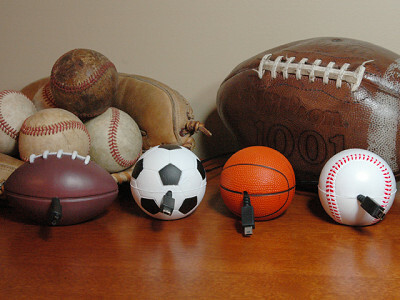 And, for all the sports fans out there, Cord Buddy also comes in a set of athletic themes. Cords and chargers are here to stay. Cord Buddy is here to help keep them neat and tidy. Everyone has a phone, i-Pod, laptop, or other device with a cord that must be plugged in and recharged each day. And after years of searching behind desks and dressers for charger cords, reaching down to pick cords up that fall to the floor, we decided to do something about it. Now, Cord Buddy is on a mission to "keep your cord off the floor!" We hope this makes life for you and your family a little easier! Sounds like a great product. Just wondering though, does that magnet cause problems with any of the electronics/screens? @Sheryl Hi Sheryl, Aaron from The Grommet here. Great question! 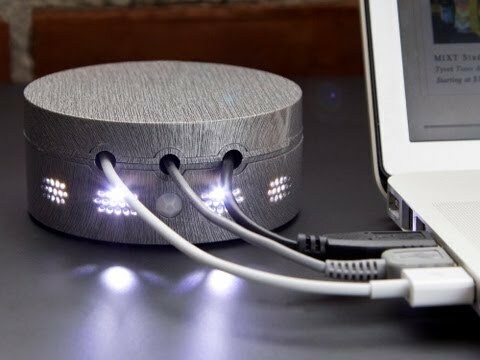 That was actually one of the first things that Steve, Kevin and Carl considered when creating the products and they paid particular attention to make sure that the magnets don't adversely affect your electronics or screens. @Aaron @Sheryl Hi Sheryl, this is Steve from Cord Buddy. Early on we did research on the effects of magnets on electronic equipment. Back in the 70's, 80's and early 90's, the technology in place with computers - mainly floppy disks and monitors, were adversely affected by common magnets. 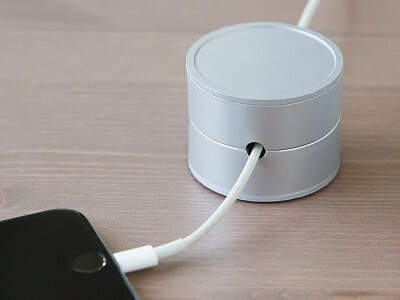 As new disk storage and monitor technology was developed in computers, cell phones, and other common technology devices, magnets of the size and power which we use in Cord Buddy products became a non-issue. There is much written on this which you can find on the internet. Many cell phone providers even leverage magnets similar to ours in their cell phone and blue tooth cases to close the case covers, placing the magnets right within millimeters of cell phone or other device. The magnets in Cord Buddy will not adversely affect your device or the delivery of power to it. Thank you for your question! I'd like to see photos of the product open, showing exactly how the cords go through it, and where the main power cord is to plug it into the wall. Also, how long is that cord? @Noreen Hi Noreen, this is Steve From Cord Buddy! All Cord Buddy products are designed to work with your own Cord(s). The Glow lighting is powered by two AA batteries, and has an on/off switch on the back in case you do not wish to use the light. We will work on providing pictures on how the cords run through it. The video also has a great demo showing the open Cord Buddy and how to place your cord(s) through Cord Buddy Basic and Glow. To place the cord through the Cord Buddy Sport, you squeeze the cord Buddy and insert the cord through a larger opening in the back. Where is the golf ball? @KATHIE Hi Kathie, We originally were not featuring the golf ball, but have decided to offer that as well. The golf ball will be available shortly and I will reach out directly to you to let you know once it's on the site!